The boardroom is perfect for small/medium sized meetings with high spec AV equipment and include complimentary refreshments. 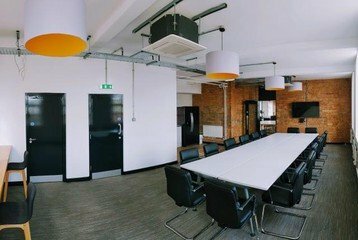 This luxury meeting space with high-spec IT close to main transport links. Escape the busy city life and drive 20 minutes to Peak District National Park, which offers breath-taking views and fantastic opportunities for pastimes such as cycling, walking and wildlife watching. Or walk straight into the city centre and enjoy various museums, restaurants and pubs. 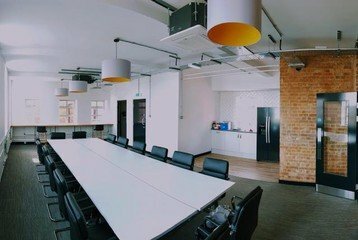 This Large multi purpose meeting room is ideal for a variety of layouts. Exposed brick walls offer an industrial edge.